In a separate suit, the incorporated trustees of the Muslim Students’ Society of Nigeria, MSSN, has dragged Governor Ibikunle Amosun of Ogun State before the court over controversies surrounding use of Hijab in schools in the State. It will be recalled that a nine-year-old girl, AbdulAleem Aishat, in a suit number AB/527/2018, currently before High Court 8, has instituted a fundamental human right case against Ogun State Government, amongst others, over use of Hijab in Gateway Secondary School, Abeokuta, Ogun State. 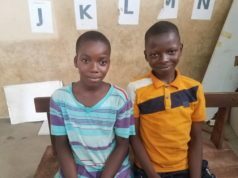 In the new suit which was marked AB/49/2019, the Attorney General and Justice Commissioner, Education Commissioner, All Nigeria Conference of Principals of Secondary Schools in Ogun State and Association of Head Teachers of Primary Schools in Nigeria, Ogun State chapter, were joined as respondents. The MSSN, in the notice of application for enforcement of fundamental right, a copy of which was obtained by www.iwitness.com.ng, is seeking for an order for it to enforce and secure the enforcement of the fundamental rights of female Muslim students in public primary and secondary schools in the State under sections 38 and 42 of the Constitution. The MSSN is also praying for a declaration that the use of Hijab by female Muslim students forms part of their fundamental rights to freedom of religion, conscience and thought as contained in section 38 of the Constitution. 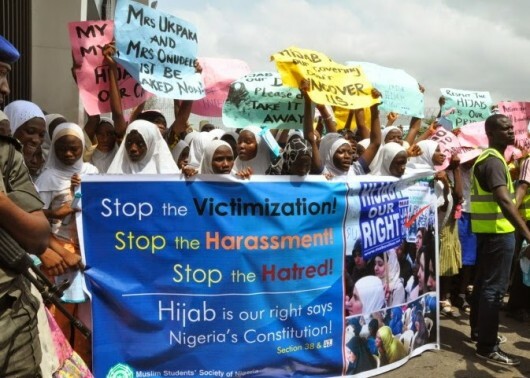 It further sought for a declaration that molestation, harassment, torture, embarrassment and humiliation which Muslim female students in Ogun State are subjected to in the hands of the agents of government constitutes a clear infringement of their right to dignity of human person and right against torture. Agents of government were also sought to be restrained from disallowing the Muslim students in public schools, the use of Hijab in their various schools during and after school hours. In a 33 paragraphs affidavit in support of the application which was deposed to by Saheed Amisu, the Amir of MSSN in the State, it was averred that the use of Hijab is compulsory on every Muslim female. Amisu also chronicled incidences of humiliation of Muslim students by teachers in Abeokuta Girl Grammar School, African Church Grammar School, Nawairu-deen High School and Premier Grammar School where a teacher identified as Aderounmu allegedly drowned the Hijab of a female student, Raji Iyabo, in black engine oil outside the school premises. The applicant further averred that non-Muslims are not compelled to use Hijab in muslim-named schools and as such are not affected if the prayers are granted. The suit was filled pursuant to Order 1, Rule 2 of the Fundamental Rights (enforcement procedure), rules 2009 as preserved by Section 315 of 1999 Constitution and the African Charter on Human and People’s Right, ACT CAP A9 Laws of the Federation of Nigeria, 2004.